Guidance sends student demographics, grade 11 marks and current grade 12 courses electronically to OUAC. OUAC pin numbers are available for Guidance staff to download shortly after this submission. Students will create their own logins & passwords for OCAS. Mr. Dunn will visit classes to introduce grade 12s to the Thunder 12's website. A very useful website which includes a monthly do list, financial aid information (scholarships/bursaries/grad awards) which will keep you organized through your grade 12 year. All grade 12 students will be give a time to come down with their class and go through the application process whether they are interested in applying to College or University. This information session will provide students with the following paperwork. You will receive your Application Access Code with your school number, student number and temporary PIN. Keep this letter for your records. You will need this information to apply. You can use this site to compare programs and degrees, find information about universities, admission requirements, search for scholarships. see entering averages, and much more. This site is a MUST for any student choosing to go to University. "UIP" is the acronym for University Information program. The UIP allows you to gather information about Ontario’s 21 universities, including programs, campus life and anything else that may help you make a decision about which Ontario university to choose. Attend the CIP on one of our bus trips! "CIP" is the acronym for College Information Program. Each fall Guidance Counsellors take a bus to either Loyalist, Fleming or Durham Colleges to take part in the College Information Program that is hosted at all three of these schools. Don’t miss out on an awesome opportunity to meet with college reps and get the information you need to make your decision about post-secondary education. Students must pick up a permission form from Guidance to attend. 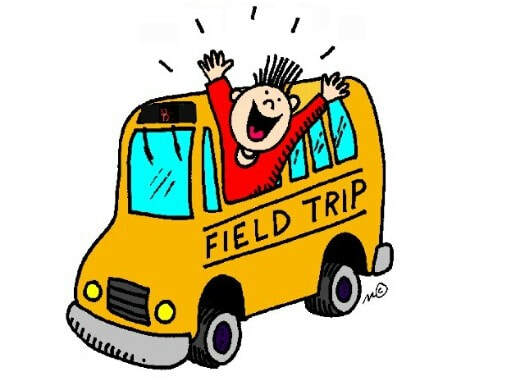 Forms will be ready at the beginning of October and need to be returned prior to the trip to Guidance. Any student wishing to apply to the States must write a generalized comprehensive test (SAT, ACT). ​The test will be scored and your score will be used as part of your admission procedure. See Mrs. Lowry for more information. If you are a varsity athlete and plan to continue your sport in post-secondary, talk to your coach/high school coach, or Mrs. Lowry then contact the post-secondary athletic department at the schools you applied to. If you intend on applying to a school in another Canadian province, please speak with Mr. Dunn in Guidance to help. Click here to the website that lists all public Canadian Universities. Students who apply to these out-of-province universities can authorize the universities to request their academic information from the OUAC. Students must apply to OUAC first to get their OUAC number then include that 11-digit OUAC reference number on the out-of province institution’s application form. Make sure to attend the main schools you are interested in. Come prepared to ask questions about the program you are interested in. Do you need to write a "Personal Statement of Experience (PSE)"? Some schools request personal essays so now is the time to begin writing them. Click here to view an article on how to write a killer essay. As you collect and/or are given information, keep on top of it by filing and organizing it regularly. Keep focused until the end of June. Marks DO matter! ​You will struggle in post-secondary if you do not get a background knowledge and work ethics in place during high school. Take a look at this article that could help you improve grades. Keep researching and applying for scholarships!